It is now mid September and although we have been experiencing a mini Indian Summer of late, there is a bite in the air, particularly after sunset that reminds me that we have now truly arrived in Autumn. And this is my very favourite season of the year. Somewhere, deep in my bones, resonates the feeling of harvest bounty. My grocery shopping now includes lots of root vegetables with which to make big pots of soup, full of the energy of summer sunshine and earthy goodness. 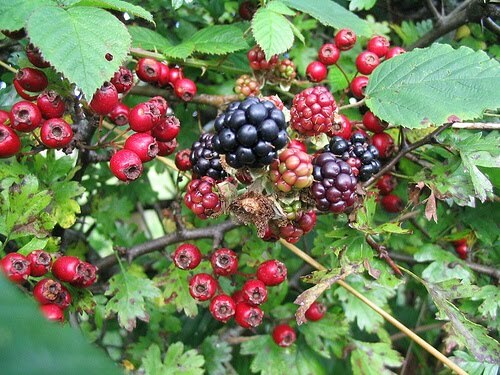 Soon we will take another trip out to blackberry country, armed with bags in which to collect the little, juicy, ruby red nuggets of sweetness which will be borne home and made into old fashioned desserts and autumnal crumbles. The swallows who nest in our eaves every summer have left home again, following the sun south. This signals it is time for me to prepare the garden for the dark and stormy days of winter ahead. Pots will be emptied and stored in the corner, garden furniture covered and moved into a sheltered spot and wind chimes and mobiles will be hung in the safety of the boiler house. Indoors I will root out throws and extra winter cushions for the lounge. Shortly we will begin to draw the curtains at sunset. Light summer nightwear will be replaced by winter pj’s, slippers and big cosy dressing gowns. And best of all, soon we will light the first fire of the season. A magical occasion, which reminds me of the bonfires of our pagan antecedents and connects me with the ancient Celtic meaning of Halloween. This is the season of hibernation and introspection. Just like the hedgehogs preparing for a big sleep under the bushes at the bottom of the garden, my inner self knows that now is time for energy to be drawn inwards. 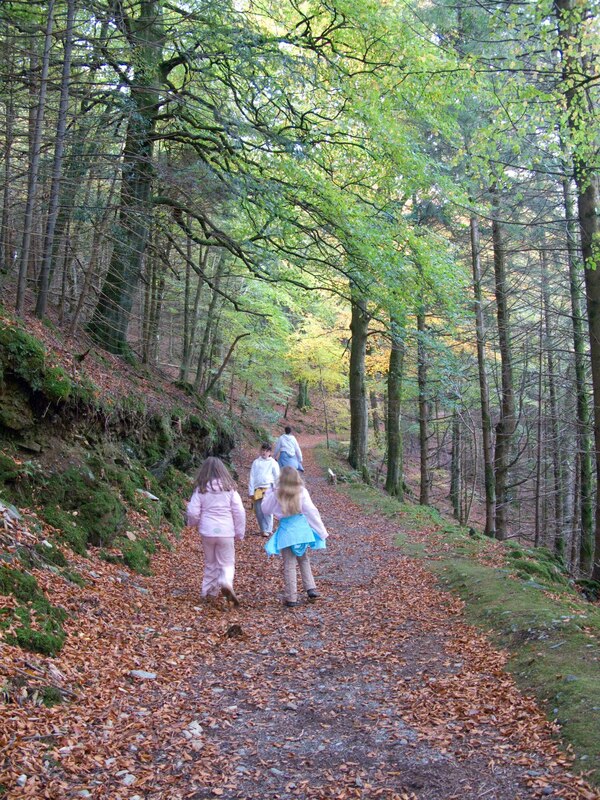 My vision of autumn is of nights by the fire, kids tucked up cosily in bed, animals stretched by the hearth. Piles of books waiting to be read, and time to think and to be still. Autumn is where I am most at home. It is where I find myself and where I am most comfortable. Autumn brings me a time to rest after the exertions of summer. A time to give thanks for all the joys of summer holidays. I welcome its arrival with open arms and heart. How do you feel about Autumn? What is your favourite season? Yes I must agree Autumn has a special feel about it. It isn't Spring so there is none of that awful pressure to Spring clean everywhere! For me Autumn signals the start of the new school year – new copies, new books, pens, colouring pencils, highlighters! All the children in bright and shiny uniforms and new shoes. Unfortunately my teenage boys don't share my pure pleasure when it comes to stationery, and look at me sadly when I produce new folders with dividers, extra copies just in case, and a choice of ballpoint, gel or rollerball pens. Maybe I will squirrel them away somewhere for myself. No, Autumn is not my favourite season – not by a long shot. The season of death, of dying. The garden overnight loses its colour, heaps of dirty sodden leaves litter the paths and trees become skeletons, their empty branches clawing at the racing clouds. The shorter days with the nights drawing in are not for me.